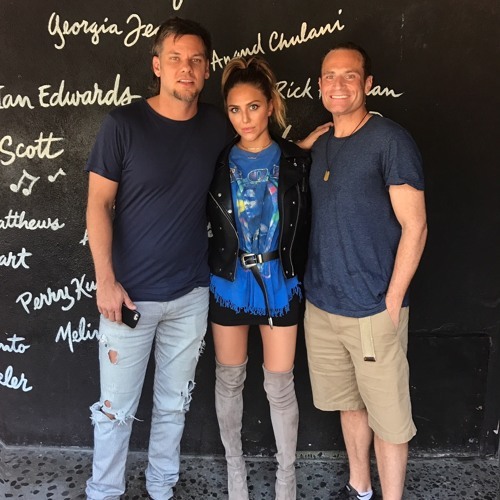 In 3 weeks, "Sharknado 5: Global Swarming" arrives, and Nova Clarke herself, Cassie Scerbo, is in the studio doing her first interview about the new installment in the franchise! Find out the movie's twist (there's a SHARKZILLA) and cameos (FABIO as the POPE? ), how the hell she acts with flying sharks, and what "Sharknado" fans are really like. But the big question - would Scerbo ever mate with a part man, part shark creature? And did you know sharks have two penises? Take the "Shark Week" vs. "Sharknado Week" along with Cassie, and hear the hosts deliver two cheers in homage to her "Bring It On Role". But who's gonna take home the spirit stick?